SRINAGAR: National Conference president Farooq Abdullah on Wednesday welcomed the "positive approach" of Pakistan's leadership on resolving long-pending issues with India, saying it has rekindled the hope that the two countries can live with trust and friendship. "I foresee a time when my colleagues, friends and family members move around without security. 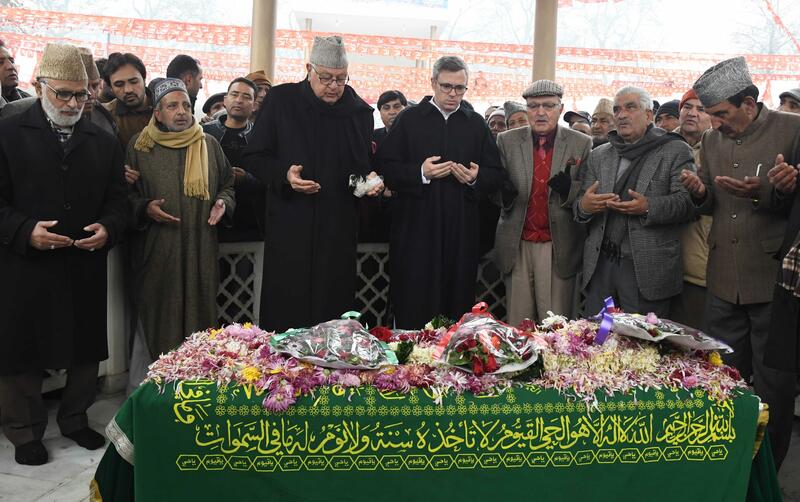 It is perhaps for that day, God has kept me going," Abdullah said at the annual day celebrations of Sher-e-Kashmir Institute of Medical Sciences in Srinagar. His comments come two days after Pakistan Prime Minister Imran Khan, who completed 100 days as premier last week, said his government enjoys unwavering support of the armed forces, an influential player in the country's politics, particularly on matters of foreign policy. "I wish that day comes when the two neighbouring countries of India and Pakistan live in camaraderie," the former chief minister said. He said Khan's avowals on India-Pakistan bonhomie has rekindled the hope that a day will come when the people of Jammu and Kashmir will live in a peaceful atmosphere. "I look forward to elections for the state assembly at an earliest. Only a popular government can mitigate the mounting woes of people. And it is the duty of people to elect honest people to the legislature," he said. Expressing his dismay over the attack on the secular visage of India, the NC president said "many powers that are inimical to the secular character of India are making bigoted attempts to polarize people on religious lines to garner support. This, I believe, is dangerous for a country like India which belongs to all." He said people want answers for all those "fanciful promises" that were made by the BJP. "People cannot forget the ordeal that they had to undergo due to demonetization. Small businessmen and small enterprise holders too are at the receiving end due to the promulgation of GST," he said. "It is the shared effort of people who run this institution that will make it great. The other day I read that the research being done in India is not of good quality. SKIMS should take a lead in research and come up with cure for many diseases that are a source of agony for people. The institute should find cure for diseases like diabetes and cancer. It will earn laurels for the institute," he said.